Hello everyone! 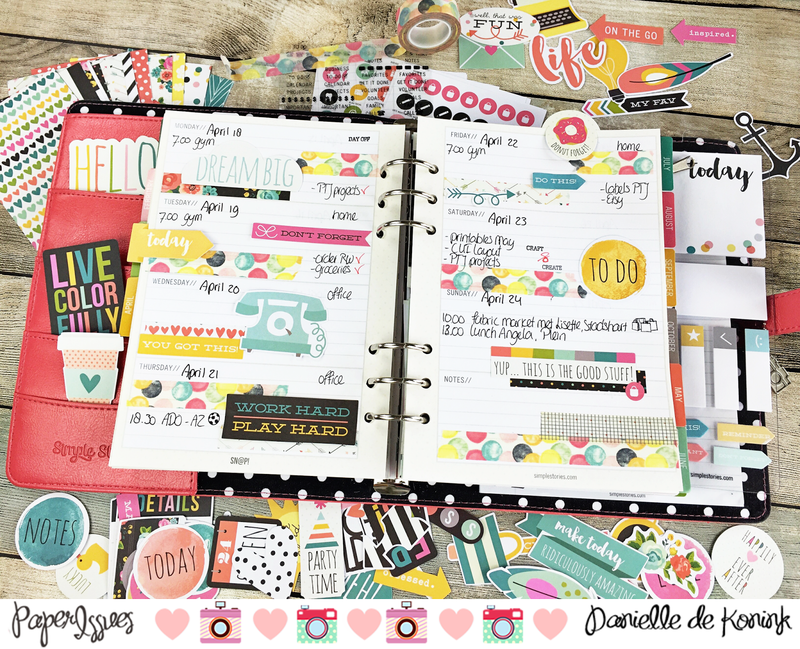 Today I'm sharing this week's spread in my Simple Stories Carpe Diem planner, for the Paper Issues April Let's Plan On It challenge. This month it is creating a rainbow inpired spread. We have a new amazing planner girl, Violet, who joined our design team, please check out her inpiration for this challenge overhere on the Paper Issues blog! Using the Simple Stories Carpe Diem planner and embellishments makes it easy to make a rainbow inspired spread. All the colors and patterns make me so happy. 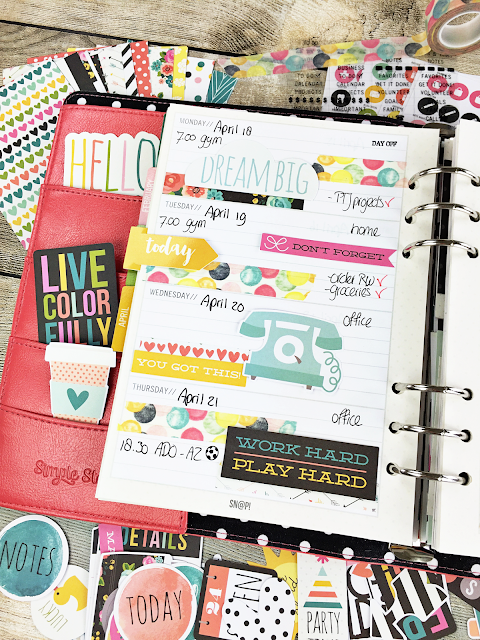 I added some watercolor dots washi tape from Little.Miss.Evie. 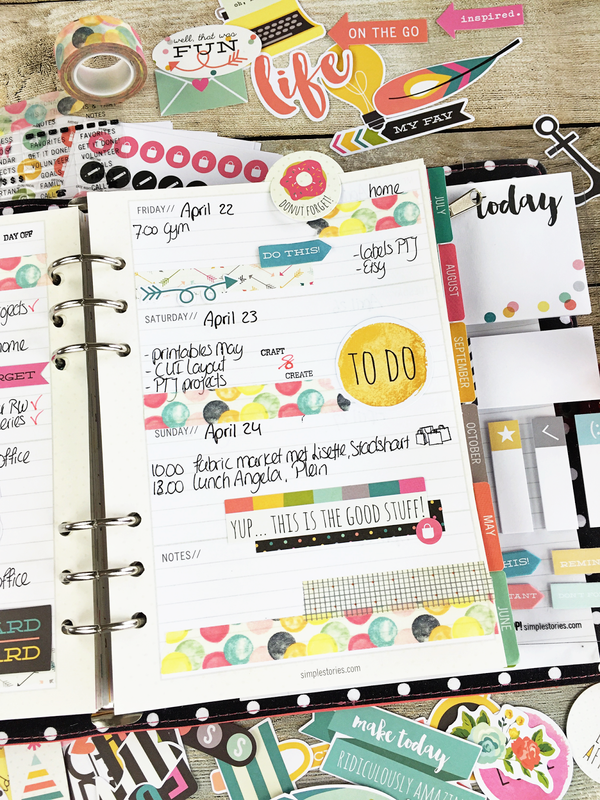 Link up your rainbow inspired spreads overhere in our challenge album. Deadline is May 1st! Love the spread - so colorful and happy!